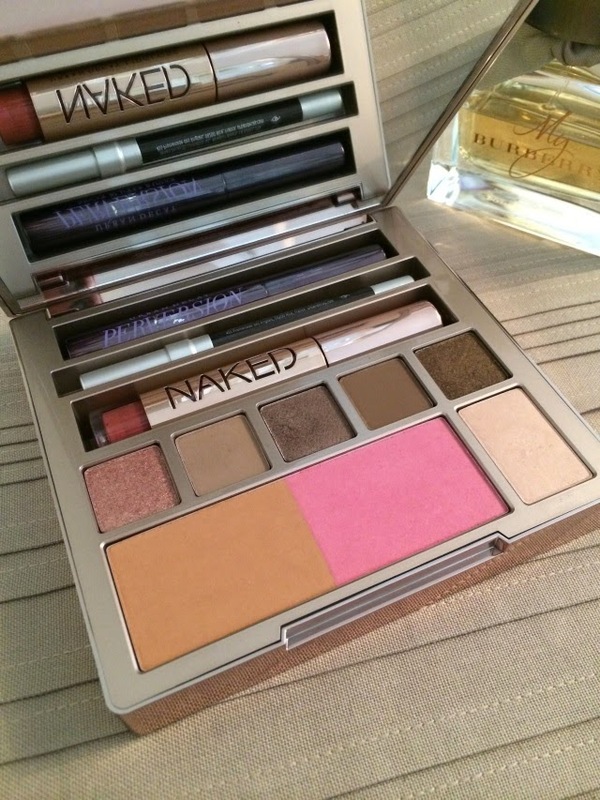 Last week I confessed that I’d ordered the latest palette from Urban Decay, today I can confirm that I own it. When this package arrived at work I was like a kid at Christmas, ripping open the packaging, the box and tissue paper, scrambling to get to the goods. My initial thought was Jesus Christ this is huge, but then I remembered exactly what it contained, which is pretty much your entire face. And mine needs a lot of work. The packaging is gorgeous. It’s a hard case which means it’ll travel well and won’t get dirty, unlike my Naked 1 palette which picks up every bit of grubby fluff and dust. For me, as soon as I lifted the lid, it was love at first sight with the shade Resist. It’s a beautiful metallic taupe with a hint of shimmer. I put this over Fix, the soft matte taupe shade, which on it’s own is a beautiful neutral, giving the lid a hint of colour. I have never used one of Urban Decay’s legendary 24/7 Glide-On Pencils before which for a kohl lover, is pretty ridiculous. Stag is a new shade in their collection and is a satin deep brown that glides on like a freaking dream. I seriously questioned myself over not having tried these pencils before. I pretty much poured the entire contents of this palette on my face, using the Perversion mascara, Naked gloss in Sesso, which is a better-than-your-own lip colour, the blush and just a hint of 5050 as a highlight. I can’t wait to try out the other shades and create a really smokey brown eye. Best £37 I’ve EVER spent. That’s for sure. Urban Decay, once again, I salute you. Now I just need to go somewhere so I can take this bad boy out the house with me. You can get yours now from Urban Decay.